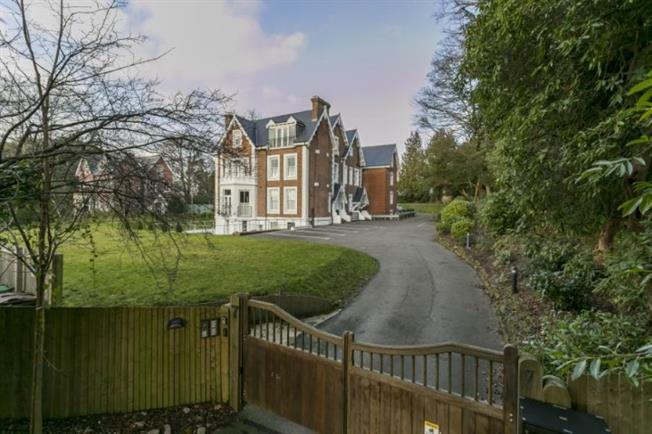 1 Bedroom Flat For Sale in Tunbridge Wells for Guide Price £290,000. Guide price 290,000 - 300,000. Freeman Forman are delighted to present this exceptional one bedroom first floor apartment, located in the highly regarded Calverley Park Gardens, within reach of the mainline railway station, the Town Centre, Dunorlan Park and Calverley Park. The apartment forms part of a striking mansion building which has been sympathetically renovated and extended to form an exclusive gated development. The apartment boasts park like communal gardens, allocated parking, entry phone security system, and well presented communal areas with a lift. The apartment offers stylishly appointed accommodation which includes an entrance hall with large storage cupboard and video entry phone, large open plan kitchen/reception room with integrated appliances including a wine cooler and Juliet Balcony. The property also benefits from a comfortable double bedroom with extensive wardrobe space and a contemporary bathroom with underfloor heating. The property enjoys a gas central heating system and double glazing throughout. Outside the property has the use of stunning communal gardens which are laid mainly to lawn. Information regarding the freehold, lease and service charge are available via the vendors sole agent Freeman Forman. An internal viewing comes highly recommended.